This project, supported by the First Nations Early Childhood Development Council (FNECDC), seeks to identify strategic actions and policy changes necessary to develop and maintain an effective, qualified early childhood development (ECD) workforce. The specific aim of this research was to assess aspects related to the training and retention of Early Childhood Educators in First Nations Communities across British Columbia. 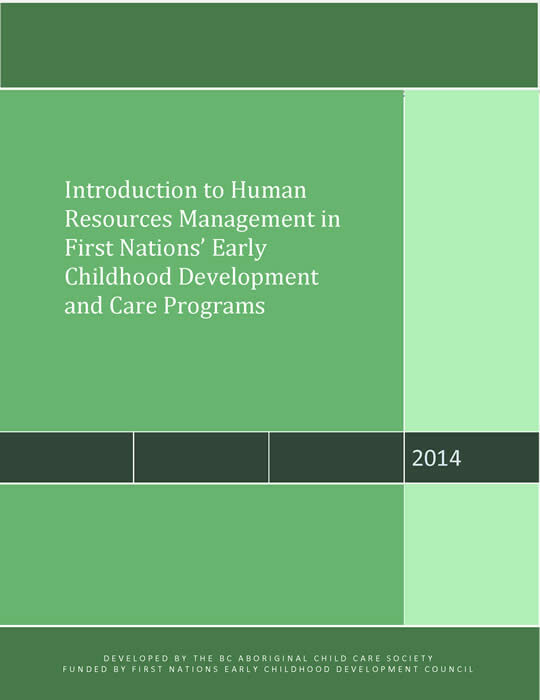 This research documents the perspectives and opinions of two groups with first-hand experience related to licensing First Nations’ early childhood programs. Principal focus of their granting is Indigenous youth—the fastest growing segment of Canada’s population. Grants for Indigenous-focused philanthropy are not currently being done, but organizations can share ideas on it through their website. "The study of training and retention issues revealed, among many other significant findings, an urgent need for professional development on the topic of human resource management."